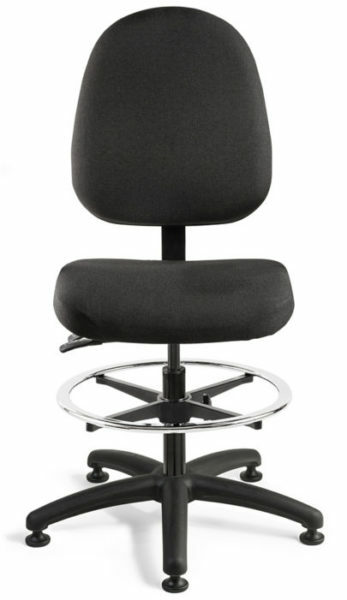 Bevco office chairs make working easy! Whether it’s a mesh or upholstered fabric, these chairs are designed to create the ultimate experience in comfort, support and durability. The contemporary design provides modern features and functionality for any office environment. Enjoy the unmatched adjustability for simple and effortless modifications providing maximum enjoyment in your chair. After receiving your custom-built chair, adjust it to conform to the body and the environment it’s being used in to significantly reduce the risk of musculoskeletal disorders. 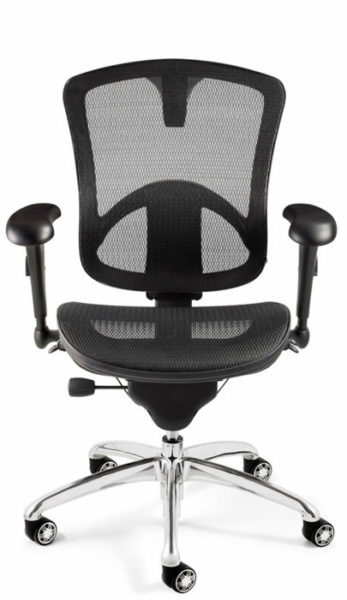 Start by adjusting the backrest height to provide proper lumbar support to promote good posture, supporting the natural curve of the lower back. There should be at least 2 ½” in-between the edge of the chair’s seat pad and the back of the knee to allow the user to use the lower portion of the backrest without creating pressure on the back of the knees. Seat height should be adjusted so feet are flat on the floor or footring with the upper legs angled slightly downward to improve lower body circulation. Finally, adjust the tilt of the chair so that the neck and shoulders are relaxed. The lower arms should +/- 90-degree angles, preferably resting on the chairs armrests so that the wrists are straight.